Let us help you celebrate Mom! As Mother’s Day approaches we always try and plan events that offer you a way to get creative and make something special for the moms in your life…. 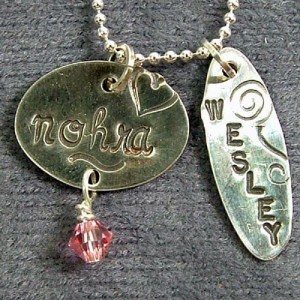 Create your own sterling silver or copper stamped tags with children or grandchildrens names! Incorporate birthstone colors if you like. Our staff will help you make something amazing!